SNBL seeks to establish strategic partnership of our nasal drug delivery technology with pharmaceutical companies. After conducting a evaluation program to fulfill client’ s needs, as shown as below, we would license our technology (e.g. by compound, indication, area of application, nation/region, etc.). 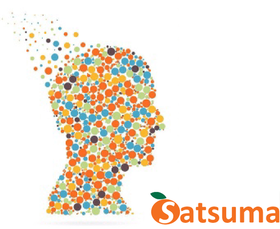 Satsuma Pharmaceuticals, Inc. (Satsuma) was established in the US by SNBL primarily for the purpose of furthering the development of a migraine treatment drug (dihydroergotamine, DHE) applying SNBL licensing platform technology related to the development of nasal DHE products (STS101). It successfully gained $12 million in Series A financing from two major venture capital firms (RA Capital Management, LLC and TPG Biotechnology Partners V.L.P.). Satsuma plans to develop, obtain regulatory approval for, and potentially commercialize STS101. Satsuma believes STS101, with generation of positive clinical study results, may attract licensing and acquisition interest from larger pharmaceutical companies. At an appropriate time, Satsuma anticipates exploring such potential licensing and acquisition opportunities, as well as potential public stock listing and/or offering options.